My First Peppa Pig Activity Twin Pack. 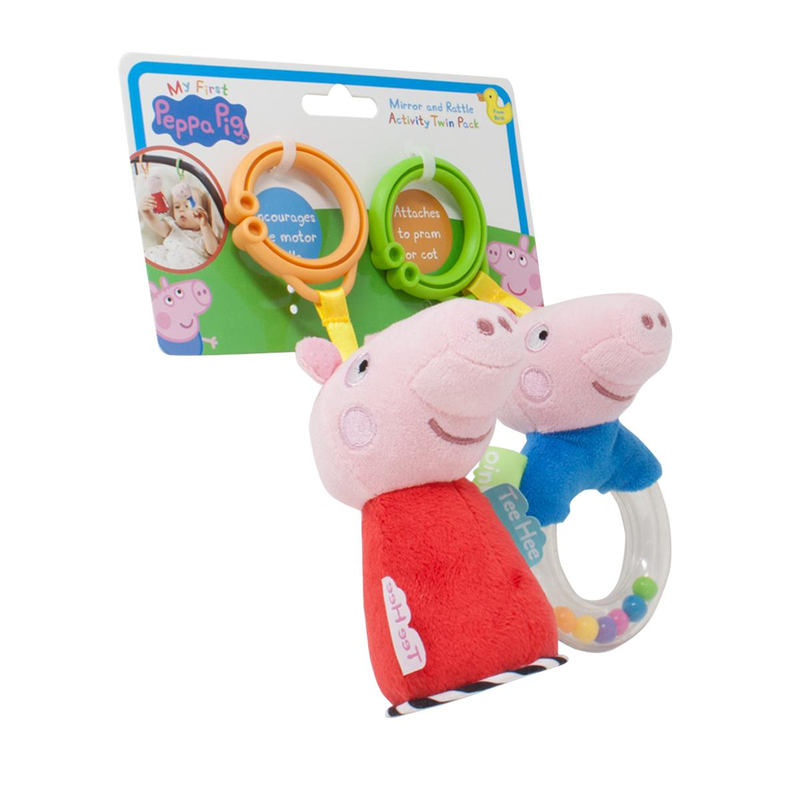 This twin pack features a Peppa Pig and George Pig clip on soft toy. 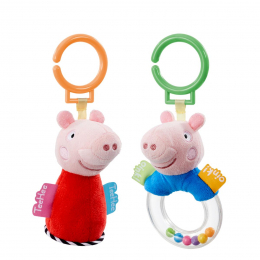 Peppa Pig has a mirror on the base and George has a colourful bead rattle in a clear hoop. Designed with textured fabrics all designed to stimulate baby's senses. These clip on activity toys are around 20cm and can be easily attached to a pram or car seat to ensure baby is entertained wherever they go.